Integra Chemical carries a very broad and diverse line of diffusers to serve our customers many needs. 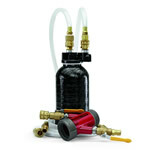 We believe that you should get the best set up and the best dechlorination product for your specific needs. Pairing the proper diffuser with Vita-D-Chlor gives you the best results and that is our goal. Vita-D-Chlor can be deployed using a variety of methods. From manual, tablet or venturi, Integra Chemical offers the following six hardware systems to help you dechlorinate efficiently for your specific application. 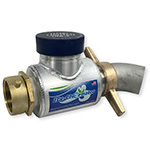 At less than 15 pounds, the ZDe-Chlorinator is our lightest, most compact device. 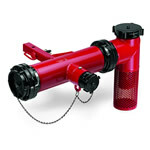 The NEMA-100 version connects to the standard 2-1/2" threading on the hydrant. The deChlorinator doses Vita-D-Chlor more accurately than any tablet unit and saves money by using the granular Vita-D-Chlor. The combination leads to lower costs after just three 55 pound pails of Vita-D-Chlor. 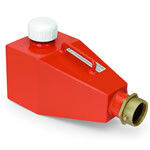 The LPD-250 has been the most popular of all hydrant dechlorinators for years. Its fast and simple set up saves operator time and training. The Hydro-Hitch can be quickly connected to either a 2-1/2" or 5" Storz and the 2-1/2" port or the pumper port on your hydrant. 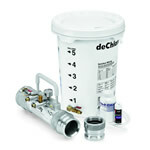 The Dechlor Demon is the perfect device for fire hydrant flow testing.